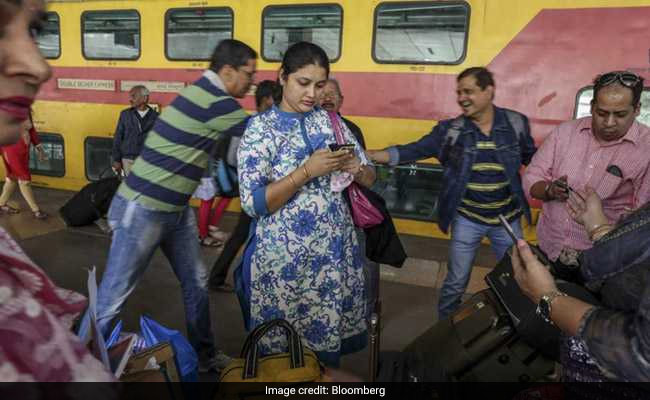 A Mumbai train commuter who witnessed an accident earlier this month, turned to his smartphone to ask neighbors how to help a bleeding victim. Responses poured in instantaneously. Take him to the station master at the next stop; ask the ticket collector for first aid; call 138 for emergency help and so on. Not long after, the commuter posted a happy ending: the injured party had received medical attention. This transpired within minutes on Neighbourly, the hyper-local social network unveiled in India this month by Google's Next Billion Users program. The neighborhood network -- available in Mumbai and soon to expand to other cities -- lets people share local expertise and crucial information with others in the vicinity. The crowd-sourced recommendations range widely: kitchen cabinet makers, service stations that repair electric scooters, cricket ticket sellers, gardening supplies stores and much more. With almost a half billion Indians now using smartphones, Google sees an opportunity to become a one-stop shop for search, social networking and payments. "After missing the last wave of social, Google is trying to use its platform to become a significant player in these areas," says New Delhi-based Forrester Research forecast analyst, Satish Meena. Google has long aspired to be the go-to platform in India, where rivals Facebook Inc. and its WhatsApp messaging service have already amassed a huge user base and Amazon Inc. is spending billions on e-commerce. Google wants to bring hundreds of millions of Indians online and build products that appeal to a diverse population, no matter the social strata, language spoken or type of device used. In 2016, the company began offering free Wi-Fi in the country's largest train stations and has since expanded to 400 locations. Last year the Mountain View, California-based search giant introduced a payment service called Google Tez. The voice-powered Google Assistant is already available in eight Indian languages. In an era of fake news, trolling and privacy concerns, the Neighbourly app, two years in the making, could help Google take on Facebook and WhatsApp. Caesar Sengupta, who runs the Next Billion Users initiative, said at the app's unveiling that it would help people get precise information without participating in group chats that "keep getting bigger and noisier," such as WhatsApp's tendency to fill up with "good morning" messages. Neighbourly users can browse, ask and answer questions without sharing personal information. The app only shows a first names while keeping the phone number, full name and other information private. A user's profile photo cannot be enlarged or stored, unlike in other apps. Upon signing up, everyone pledges to keep the community safe and refrain from posting inappropriate or spam messages. The India push is part of Google's aggressive global expansion. The company recently invested $550 million in Chinese e-commerce giant JD.com Inc. and a smaller amount in India's Fynd, giving it an online shopping toehold in the world's most populous nations. Now it's fine-tuning social and messaging, where it has had limited success with Google+, Hangouts and Allo. "General social networking is dominated by Facebook and peer-to-peer messaging by WhatsApp," says Brandon Verblow, a New York-based analyst at Forrester Research. "However opportunities for local networking have not yet been fully exploited." Google India already generates about $1 billion in ad revenue, and the app opens a new avenue to potentially sell high-priced targeted local ads while collecting more information about users which can be used to sell ads across other products. "If Google can scale Neighbourly, it could become a large revenue generator," Verblow says. Google researchers spent two years roaming college campuses, bus stops, neighborhood parks and people's living rooms to build and refine the app. They encountered the same theme over and over in localities of Delhi, Jaipur, Mathura, Ahmadabad and Mumbai. As in so many countries, the age-old neighorhood network had broken down as people moved around for jobs or college. Add in the long work hours and commutes, and nobody knew their neighbors anymore. "Life is happening close to home for most people even as urbanization reshapes cities in India and countries in Asia, Latin America and Africa," says Josh Woodward, a group product manager with the Next Billion Users team. After creating a beta version of the app, Google testers walked door to door asking Indians to install it, then returned to sit down in living rooms to gather feedback. When women said they wouldn't want strangers to store their photos, Google decided users wouldn't be able to enlarge pictures or save them. People didn't want intrusive interactions with others so there is no direct-messaging feature. For location, Neighbourly displays the name of the neighborhood. The app is less than 7 MB in size, making it easier to use on older or cheaper smartphones. Neighbourly relies heavily on what Google has learned from its search and digital assistant offerings. A third of searches in India are already voice-activated, so Neighbourly lets users ask questions verbally in their local language. The app provides helpful question starters such as "Where can I find..." "Who is the best..." or "Can you recommend..." to obviate the need for typing. The app uses familiar social networking techniques. Much the way Uber passengers can rate drivers, Neighbourly users accumulate credibility scores based on how others rank their responses. High-ranked answers bubble to the top. Similar to Facebook, Q&As can be bookmarked for later, and users can follow a question (but not a person). Users can swipe left or right on the top 15 questions and responses served by the app, helping background algorithms understand each person's needs. People whose answers are constantly up-voted receive points, akin to LinkedIn referrals. Google executives were quietly thrilled when users compared Neighbourly favorably to the ancient Indian concept of Karma, whereby one's actions determine a person's fate.